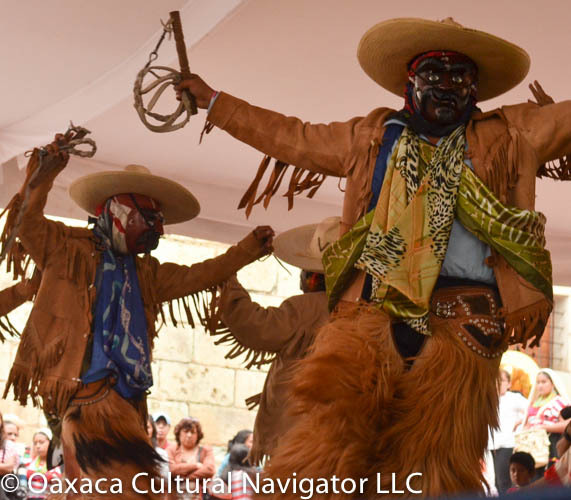 The week-long Guelaguetza, the last two Mondays in July folkloric dance event on the Cerro Fortin, is Oaxaca’s biggest tourist event of the year. Tickets for reserved seats are expensive, from 900 to 1,250 pesos, and now also hard to come by. There are two performances left, one at 10 a.m. and one at 5 p.m. on Monday, July 29, 2013. At Teatro Macedonio Alcala, no tickets are available and a handwritten sign directs you to go to the Tourist Office on Av. Benito Juarez across from Llano Park. At the Tourist Office, they tell you that tickets are sold out and direct you to a travel agency. Seems like the agencies bought up lots of advance tickets in order to charge a 200+ peso commission on each one. 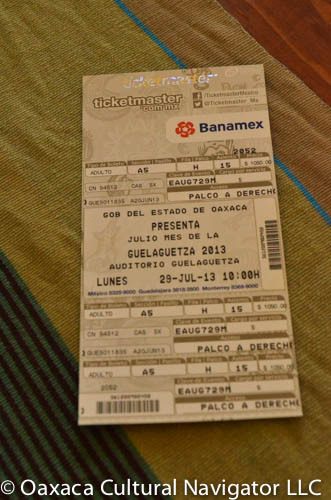 Ticket Master Mexico is also sold-out. 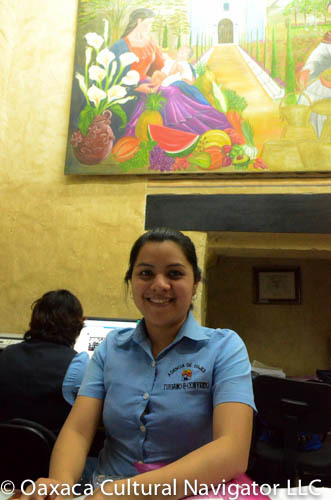 Try the travel agency in the Quinta Real hotel on 5 de Mayo. They are very helpful and the commission is less than most. 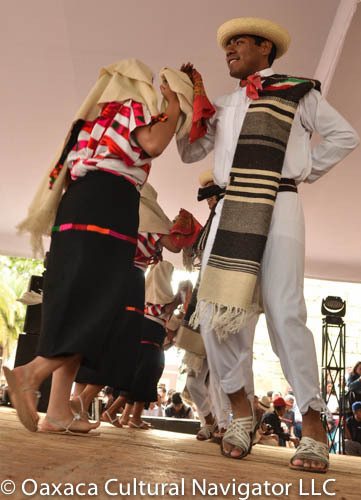 The three-hour extravaganza that features the indigenous dress of pueblos throughout Oaxaca state along with their particular dance traditions, draws people here from all over the world. The spectacle is grand entertainment, though not everyone can afford to see this version of it. True, there is free seating in sections C and D of the Guelaguetza Auditorium, the white-tented amphitheater on the hill, but seats are way up in the peanut gallery far from the stage. People tell me you have to get in line by 5 a.m. for the 10 a.m. performance in get in free. Not for the faint of heart. Chilangos and gringos have far more money, so the economic class system prevails. 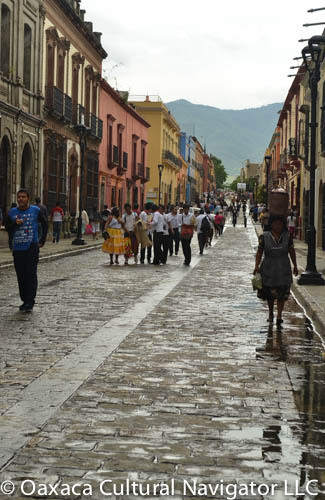 Nevertheless, throughout Oaxaca, free performances abound under tents near Santo Domingo Church, on the Zocalo, and in public spaces at San Pablo Academic and Cultural Center on Calle Independencia. 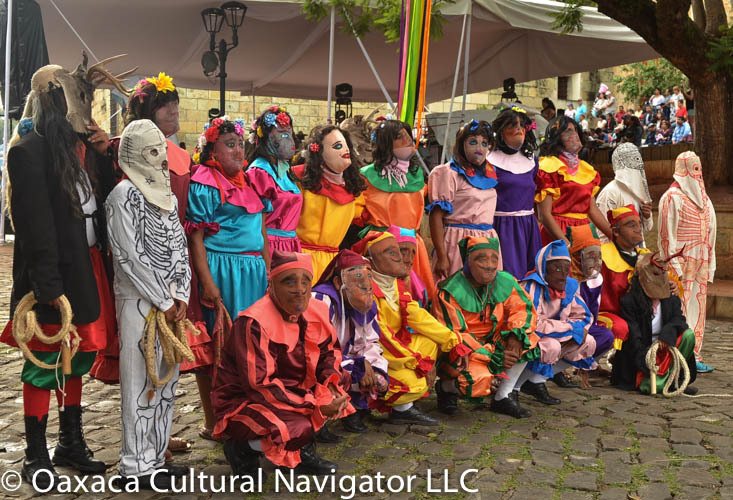 Or, anyone could catch a parade of masquers down Macedonia Alcala, the walking street that connects the Zocalo and the plaza in front of Santo Domingo. This week, Oaxaca is sizzling with excitement — a mezcal fair at Llano Park and a festival of seven moles. It is a great time to be here. Yet, the controversy and discussion around Guelaguetza continues. 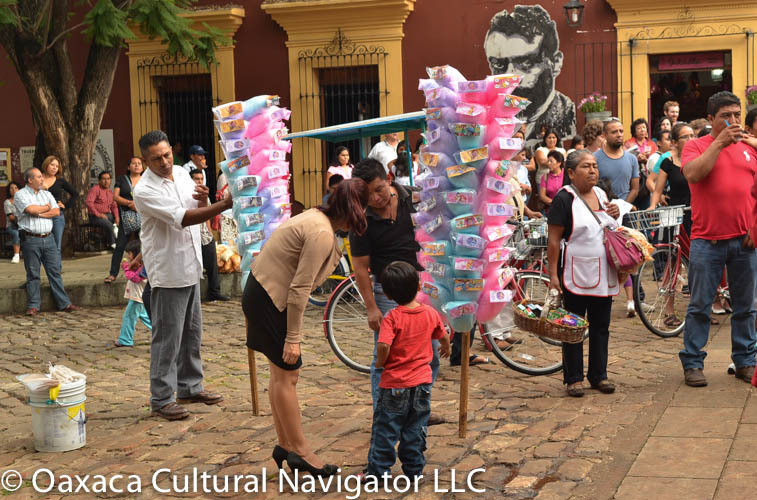 Earlier in the week, San Pablo hosted academics from Mexico City and Oaxaca, and indigenous leaders from Oaxaca to talk about the authenticity of what has become this city’s tourism masthead. Public definitions are influenced and changing through the lens of tourism. 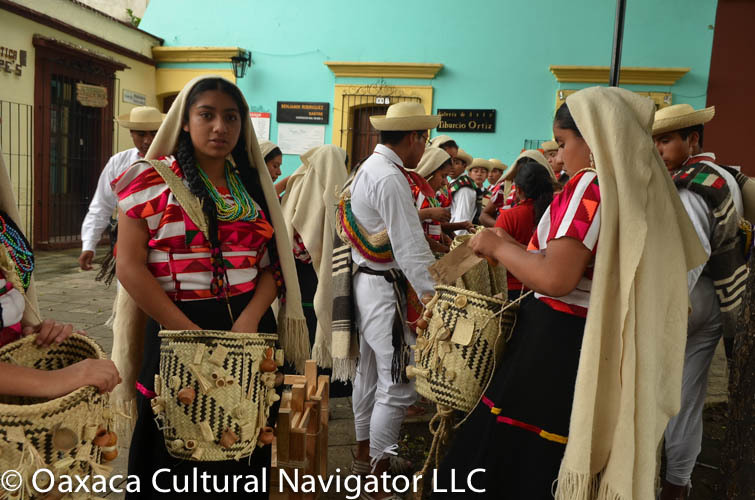 In traditional villages throughout the state, Guelaguetza is the form of mutual exchange and support for the community good. It is how indigenous people have survived and continued for thousands of years. I ask you for something that I need now that you have. I ask and you give it to me freely. In years to come, I owe you this same thing back plus a bit more — a cow for a wedding feast, a band for a quinciniera, tamales for a baptism, mezcal for a birthday, etc. We keep a record so the interchange is accurate. It is not considered a debt nor is it a gift. It is giving and giving back. The price one pays to be in community. 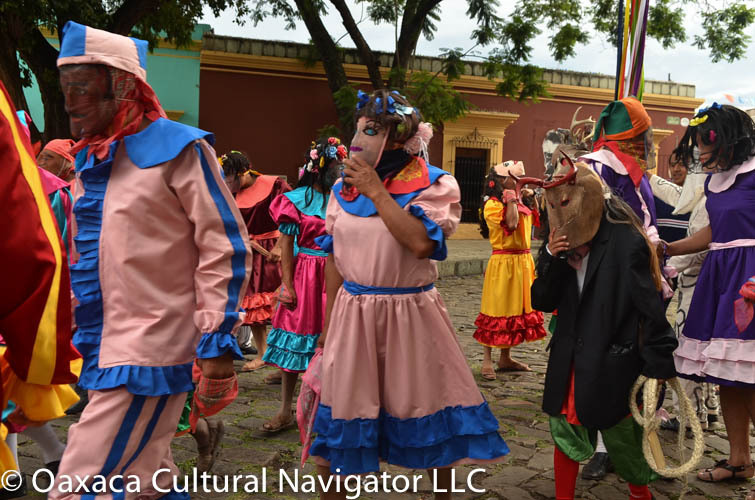 What happens when the general public believes that Guelaguetza is a folkloric dance performance that is disconnected from its cultural roots? We see the baskets on the stage filled with nuts, candies, bread that the dancers throw out to the audience. We see the gourds filled with mezcal that are traditional offerings that predate the Spaniards and Aztecs. Little cups of mezcal are offered to the audience. How are we able to understand the symbolism of these discreet events that become intertwined with a performance. 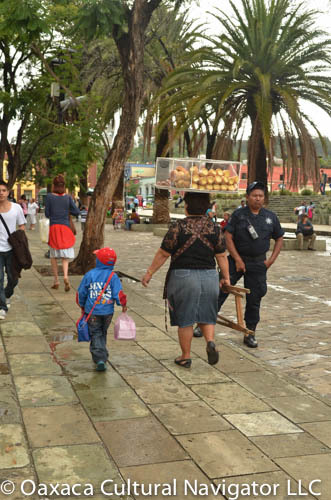 Yes, tourism is important to Oaxaca. 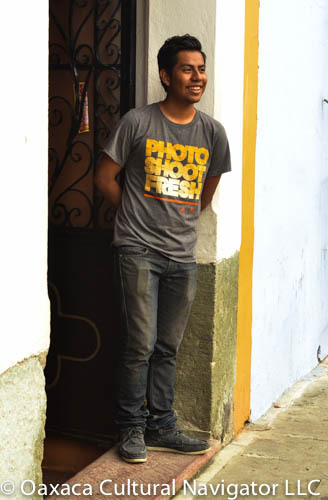 It is vital to Oaxaca’s economy. It is good that there are ways to draw and attract visitors. Yet, somehow it seems, we need to be doing better to make Guelaguetza more accessible, affordable and understandable. This entry was posted in Cultural Commentary, Travel & Tourism and tagged culture, guelaguetza, indigenous, Mexico, Oaxaca, traditions. Bookmark the permalink. Last Monday, went to the Guelaguetza (especially for teachers) which took place in an open space a block off the highway in Oaxaca. We rode the bus from Huajuapan and got as we entered the central city. I know this is very vague because I was following a more knowledgeable person. I understand that the event for teachers was much less expensive and very very well attended. All of the usual artisans and foods were there. Word was that this was better than the primary event! Great to know! Thanks for the share, MaryPelham.